Middle Eastern Practice Music for Drum & Dance Volume 1. CD by Mary Ellen Donald. 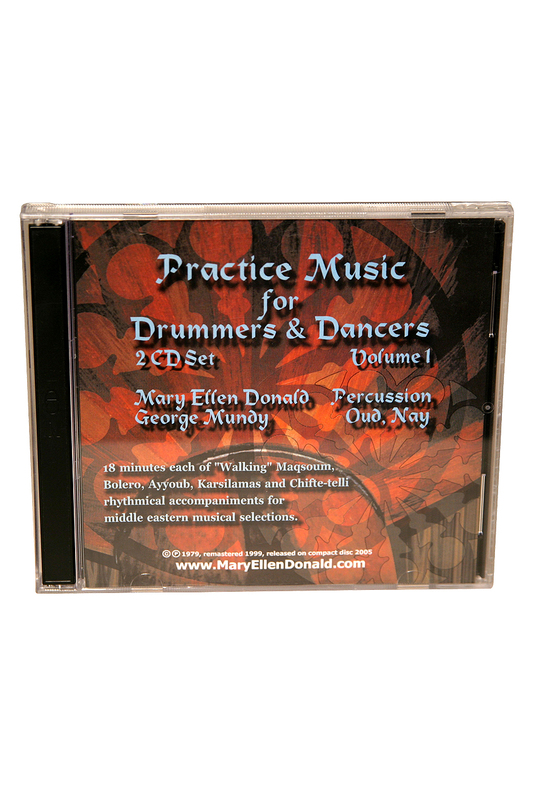 This 2-disc set includes Mary Ellen Donald on Percussion and George Mundy on Oud and Nay. Includes 18 minutes each of Walking Maqsoum, Bolero, Ayyoub, Karsilamas and Chifte-telli.